NEW YORK, Jan. 31 2008 -- Venture capitalists will largely direct their investments to the greentech and biotech industries in the coming year, while China and India remain hot destinations for venture funds, according to a recent survey by the U.S. audit, tax and advisory firm KPMG LLP. KPMG LLP, the audit, tax and advisory firm (http://www.us.kpmg.com/), is the U.S. member firm of KPMG International. KPMG International's member firms have 123,000 professionals, including more than 7,100 partners, in 145 countries. PALO ALTO, Calif.--January 30, 2008 --The booming North American wind energy generator market attracts foreign investors by the droves as a result of its increased focus on alternate energy sources, technology advances and tax break extensions. This compels domestic companies to compete more aggressively. New analysis from Frost & Sullivan (http://www.energy.frost.com), North American Wind Energy Generator Market, finds that the market earned revenues between $4 and $5 billion in 2006 and expects to touch $50 billion in 2013. If you are interested in a virtual brochure, which provides manufacturers, end users, and other industry participants with an overview of the North American Wind Energy Generator Market, then send an e-mail to Johanna Haynes, Corporate Communications, at johanna.haynes@frost.com, with the following information: your full name, company name, title, telephone number, e-mail address, city, state, and country. We will send you the information via e-mail upon receipt of the above information. The wind power market in Canada becomes increasingly dynamic due to federal and, more importantly, provincial efforts to promote this market. The country will greatly benefit from the new wind legislation aimed at achieving 10,000 megawatts (MW) wind power generation by 2010. Meanwhile, the U.S. wind energy industry is well on course to add more than 3,000 MW to its power generating capacity in 2007, topping its 2006 record of 2,454 MW. The country’s production tax credit (PTC) is an influential growth factor, as installations increase and decrease depending on PTC’s extension and termination. U.S. companies can take heart from the issuance of renewable energy certificates (REC), which encourage domestic generation renewable energy. Market participants also begin to understand that the future trends will be influenced more by RPS than PTC, although the latter will still function as a developer confidence indicator. The U.S. market witnessed a late surge in new wind turbine installations in the past two years, but it still trails Germany in the global ranking. Meanwhile, in wind power production, it is only a notch below Spain, according to the Global Wind Energy Council. To extend this good form and augment turbine installations, wind turbine vendors will have to sort out issues regarding gearboxes, castings and blades in the supply chain. They can achieve this by developing close ties with component suppliers. The high demand for turbines will encourage suppliers to increase capacity during the design of their manufacturing facilities. This exponential demand triggers a simultaneous and proportional rise in cost, which helps offset the imbalance in supply and demand. However, market participants will not have this advantage in the future, when demand drops. Wide variations in cost also challenge the wind industry, as winds are sporadic and windy spots are located far away from vast urban centers, which are the major users of power. North American Wind Energy Generator Markets is part of the Energy & Power Growth Partnership Service program, which also includes research in the following markets: North American Small and Medium Wind Energy Turbine Market, Global Large Gas Turbines Market and Global Steam Turbines Market. All research services included in subscriptions provide detailed market opportunities and industry trends evaluated following extensive interviews with market participants. Interviews with the press are available. Frost & Sullivan, the Global Growth Consulting Company, partners with clients to accelerate their growth. The company's Growth Partnership Services, Growth Consulting and Career Best Practices empower clients to create a growth focused culture that generates, evaluates and implements effective growth strategies. Frost & Sullivan employs over 45 years of experience in partnering with Global 1000 companies, emerging businesses and the investment community from more than 30 offices on six continents. For more information about Frost & Sullivan’s Growth Partnerships, visit http://www.frost.com. SANTA CLARA, Calif.--January 28 2008--Intel Corporation said today it will purchase more than 1.3 billion kilowatt hours a year of renewable energy certificates as part of a multi-faceted approach to reduce its impact on the environment, making Intel the single-largest corporate purchaser of green power in the United States, according to the U.S. Environmental Protection Agency (EPA). The company said it hoped the record-setting purchase would help stimulate the market for green power, which should lead to additional generating capacity and ultimately, lower costs. The purchase placed Intel at the top of EPA’s latest Green Power Partners Top 25 list, and also at the No. 1 spot on EPA’s Fortune 500 Green Power Partners list. The EPA’s Green Power Partnership program encourages and recognizes voluntary green power purchases as a way to reduce the impact of conventional electricity use. Renewable energy certificates, or RECs, are the “currency” of the renewable energy market and are widely recognized as a having credible and tangible environmental benefits. The EPA estimates that Intel's REC purchase has the equivalent environmental impact of taking more than 185,000 passenger cars off the road each year, or avoiding the amount of electricity needed to power more than 130,000 average American homes annually. Intel’s REC purchase, which includes a portfolio of wind, solar, small hydro-electric and biomass sources, will be handled by Sterling Planet, a leading national supplier of renewable energy, energy efficiency and low-carbon solutions. The purchase will be certified by the non-profit Center for Resource Solutions’ Green-e® program which certifies and verifies green power products. Intel and EPA have worked together for several years on a variety of fronts, from Energy Star® to Climate Leader and Performance Track programs, to broad industry efforts such as the Climate Savers® Computing Initiative. The Agency recently recognized Intel with a 2007 Water Efficiency Leader award for its efforts to reduce, reuse and recycle water in its Chandler, Ariz. manufacturing facility. Intel was also recognized by the EPA as the most commute-friendly employer in the nation in 2006. In addition to promoting and funding ideas for greater energy efficiency in its facilities, Intel has consistently specified high-energy-efficiency equipment in its manufacturing facilities with a view to ensuring greater energy efficiency and environmental benefit. Over the last 7 years, the company invested over $20 million in more than 250 energy conservation projects that saved in excess of 500 million kilowatt hours, enough energy to power about 50,000 U.S. homes. EPA’s Green Power Partnership is a voluntary program helping to increase the use of green power among leading U.S. organizations. The program encourages organizations to purchase green power as a way to reduce the risk of climate change and environmental impacts associated with conventional electricity use. Partners include a wide variety of leading organizations such as Fortune 500 companies, local, state, and federal governments, trade associations, as well as colleges and universities. For additional information, visit www.epa.gov/greenpower. -- Other names and brands may be claimed as the property of others. BERWYN, Pa.---As Kermit the Frog once said, “It’s not easy being green.” Corporate America is finding that to be the case as it seeks to combat climate change, according to the latest position paper by Turner Investment Partners. The paper, entitled How green is my (and your) planet, notes that U.S. companies have found it difficult initially to quantify the effectiveness of some of their green efforts. But those efforts may ultimately not only help counteract climate change, but also present some lucrative investment opportunities, especially in four green technologies: solar, wind, biofuels, and fuel cell. Turner Investment Partners, an investment-management firm that invests in core, growth, and value stocks on behalf of institutions and individuals, publishes position papers commenting on business and investment issues each quarter. Written by Bill McVail and Robb Parlanti, senior portfolio managers/security analysts, the paper assesses some of the environmental, social, and economic catalysts driving corporate America's involvement in the green movement and identifies the primary risks that may jeopardize the movement. Potentially representing “the most dramatic change in business in more than a century,” the green movement “should pick up momentum as it matures and as corporate America becomes more surefooted,” according to the portfolio managers. At the same time, they conclude that genuine environmental progress will require an immense application of resolve, intelligence, ingenuity, and capital globally. To read the paper in its entirety, see the Turner Investment Partners Web site, www.turnerinvestments.com/positionpaper. Or call 484-329-2439 for a free copy of the piece. POINT ROBERTS, WA and DELTA, BC – January 25, 2008 www.RenewableEnergyStocks.com, a leading investor news and research portal for the renewable energy sector within Investorideas.com, presents a sector close-up on solar stocks. With the recent sell-off in the markets in general, solar stocks also took a major hit, loosing significant gains made in 2007. Yesterday’s trading in solar leaders gave investors renewed optimism and faith in the long term prospects for the sector. www.RenewableEnergyStocks.com is one of several green investor portals within Investorideas.com and provides investors with stock news, exclusive articles and financial columnists, audio interviews, investor conferences, Blogs, and a directory of stocks within the renewable energy, clean tech and fuel cell sectors. We are writing to express our disappointment in your recent decision to block states’ rights to reduce greenhouse gas emissions from motor vehicles. Your decision to deny California its waiver ignores federal law and the reality of climate change. It also ignores the clear intent of Congress in the Clean Air Act to enable California to adopt regulations to control emissions from new motor vehicles that are at least as stringent as those of the federal government, and to allow other states to follow. The authority of states to address greenhouse gas emissions from motor vehicles has been clearly and unequivocally supported by recent judicial decisions. In April, the United States Supreme Court ruled in an historic opinion that greenhouse gas emissions from motor vehicles are pollutants to be regulated under the Clean Air Act. In September, a federal court decision in Vermont confirmed that states have the authority to adopt California’s motor vehicle greenhouse gas emissions standards. In December, a federal court in California issued a ruling that confirms California’s authority to set motor vehicle greenhouse gas emissions standards. We find your reasons for denying California’s request for a waiver of federal preemption unsound. You said the federal Energy Bill is the answer to combating greenhouse gas emissions from vehicles. The U.S. EPA acted inappropriately in basing its waiver decision on a comparison of California’s emissions standards to possible co-benefits of the recently enacted federal Energy Bill, especially with no support for that comparison. While more stringent CAFE standards are well and good, the most effective strategy to reduce greenhouse gas emissions from vehicles is the comprehensive standard that has been adopted by 13 states and is being considered by another seven. California’s standard regulates four greenhouse gases directly. The federal government, as required by the new Energy Bill, will improve fuel economy standards. Fuel economy and greenhouse gas emission standards are not the same. Although both are laudable, they achieve distinctly different goals. You denounced a confusing patchwork of state rules in your denial statement. There is no patchwork. Rather, there continues to be the two-car system that Congress intended – California cars and federal cars. Currently there is only one greenhouse gas emissions standard – a California standard. The federal government has not established a greenhouse gas emissions standard for vehicles. If they do, manufacturers will continue to produce, at most, two vehicle types – one certified for sale in California and the states that have adopted California's standard, and one federally-certified for the remainder of the states. That is why we need to adopt the most effective solution – California’s – which is the only greenhouse gas standard in effect. You said federal CAFE standards are much more effective than California’s standard. Although this is not a proper basis for your decision, according to an analysis by the California Air Resources Board, if all 19 states follow California, the greenhouse gas emissions reduction benefits above and beyond the possible co-benefits under the Energy Bill are expected to be 315 million metric tons by the year 2020, an 85% increase in emission reduction benefits. You said this waiver request is distinct from prior waiver requests because, unlike traditional pollutants, greenhouse gas emissions are a global problem. We agree that this is a global problem, but the consequences are a local problem. Higher temperatures will cause a number of troubling local conditions, including worsening smog and soot pollution in cities that already suffer from some of the worst air quality in the nation. That is why we need to adopt the most effective solution, which is ours. You said that the circumstances for granting the waiver are not compelling. Each day, scientists better understand the impacts of climate change, and those impacts are certain to be environmentally and economically damaging. All states face negative impacts to their economies, natural resources and shorelines. California is particularly vulnerable because of its reliance on snow pack as the most significant source of water storage, its 1,200 miles of coastline, its agricultural industry that leads the U.S. in production of fruits and vegetables, and its already-challenging air quality issues. This is more than sufficient to warrant California’s claim of “compelling and extraordinary conditions” and to exercise its right to lead a state-based effort to reduce greenhouse gas emissions from motor vehicles, and for other states to follow. In conclusion, the U.S. EPA action to prevent California, and thereby 19 other states, from implementing its motor vehicle greenhouse gas emissions reduction regulations is without merit. The federal government, with this unprecedented action, is ignoring the rights of states, as well as the will of more than one hundred million people across the U.S. We stand by our commitment to bring cleaner cars to our states. MONTEVIDEO, URUGUAY and SANTA ROSA, CA., Jan 23, 2008 - The Coca-Cola Company and alternative transportation pioneer ZAP (OTCBB: ZAAP) announced a project to use 30 of its compact trucks for a new beverage distribution system in Montevideo, Uruguay. Officials from Coca-Cola subsidiary Montevideo Refrescos SRL (Monresa) and ZAP say that they are testing new efficient motors as part of the project, and if it is successful, they might expand to large cities around the world where rising gas prices, traffic congestion, pollution and parking shortages restrict the use of large delivery trucks. Officials say that the new distribution model using these trucks averages about one-fifth the fuel consumption of the former model. "We want to create an alternative way for goods and services to be transported in urban areas," said ZAP Director of International Affairs Fernando Cancela. "Urban deliveries are becoming more and more challenging with traffic congestion and parking shortages. These ZAP Xebras will help Coca-Cola create a new distribution system that will be better for our cities as well as for their bottom line." Recently Coca-Cola announced a pledge to the environment as part of its policy of corporate social responsibility. As a beverage company, they will focus on three areas of great impact: water use; packaging; and energy use and climate protection. Jorge Apesetche, Distribution Manager for Monresa (Uruguay) says this project with ZAP is the kind of initiative Coca-Cola wants to make to do their part. "Our commitment is not just good corporate responsibility; it's good business," said Apesetche. "The bottom line is that our business depends on the health and sustainability of our planet and the natural resources that we all share. ZAP Xebras will help improve our distribution operations, save money, time and the environment." Coca-Cola subsidiary Monresa has received the initial order for 30 ZAP Xebras and is now placing them into service delivering beverages throughout Montevideo, the capital of Uruguay. The ZAP Xebras will be incorporated into a mobile distribution hub model where larger delivery trucks would no longer be used throughout the city, but would transfer beverages into ZAP trucks at distribution hubs. Modified with enclosed, lockable beds, the ZAP Xebras will navigate the more narrow, inner-city streets, making deliveries to smaller retail locations. Because the ZAP trucks will operate more easily in this environment, officials from Coca-Cola say their drivers can deliver vehicles and collect payment at the same time, whereas collections were not practical with the larger trucks. Coca-Cola's distribution model is similar to the one used recently by United Parcel Service (UPS) in Northern California where a fleet of 42 ZAP trucks and sedans were used to expand small parcel deliveries during peak holiday demand. UPS delivery vans transferred smaller packages to a locked storage unit, then a Xebra transports the packages into dense urban and residential areas where parking and traffic are easier for the smaller vehicles. ZAP is expanding the distribution for the Xebra worldwide as part of a strategic partnership with Shandong Jindalu vehicle company of China. ZAP is now distributing the cars and trucks designed for city-speed transportation. ZAP recently formed a joint venture with one of China's newest car companies, Youngman Automotive Group, to manufacture electric and hybrid cars, buses and trucks. TREVOSE, Pa.--January 21 --Pilgrim’s Pride Corporation (NYSE:PPC - News), the largest chicken company in the U.S., today received a 2008 ecomagination leadership award from GE Water & Process Technologies, a unit of General Electric Company (NYSE:GE -), for achieving reductions in greenhouse gas emissions, waste solids, and water usage at its El Dorado, Arkansas facility. Presented at a general meeting of Pilgrim’s Pride executives in Atlanta, Georgia, the ecomagination award honors the company for achieving nearly $500,000 in annual operational savings and numerous environmental benefits. A new ecomagination-certified GE wastewater treatment system, using entrapped air flotation technology (EAF), enables the El Dorado plant to reduce the amount of waste solids produced in the wastewater treatment system by 425,000 pounds per week. This eliminates the need to transport the waste solids offsite, and reduces the associated greenhouse gas emissions from trucking by more than 800,000 pounds per year—or the amount of carbon dioxide that would be removed from the atmosphere by a one hundred acre forest. The reductions are possible because the EAF system eliminates the use of 286,000 gallons per year of ferric sulfate, a chemical that is commonly used to help remove contaminants from wastewater but can result in large amounts of waste solids. Pilgrim’s Pride also captures and reuses the high quality effluent produced by the system, and currently recycles about 30,000 gallons of water per day to wash down outdoor areas and for non-contact cooling. Pilgrim’s Pride is continually exploring and implementing new technologies to use water more efficiently at its plants. To date, the company has implemented water reuse systems that save well over 3,000,000 gallons of water every day at its combined plants. Such strategies are particularly important not only to conserve potable water supplies, but also to ensure that facilities continue to operate at full capacity during times of water shortage. Pilgrim’s Pride recently intensified the examination of ways to implement additional water savings at its plants in Georgia in light of the unprecedented drought conditions the state is currently experiencing. The Metro Atlanta Chamber of Commerce and GE Water & Process Technologies recently hosted the Georgia Water Solutions Forum in Atlanta on Dec. 10, 2007. Speakers at the forum, which included Senator Johnny Isakson, Atlanta Mayor Shirley Franklin, Georgia Environmental Protection Division Director Dr. Carol Couch and GE Vice Chairman John Rice all addressed the need to implement sound water stewardship practices and expand on everyone’s role in developing technology, policy, and conservation strategies that can help the region reduce, reuse and replenish water supplies in Georgia. A world leader in water, water reuse, wastewater treatment and process solutions, GE Water & Process Technologies brings the best technologies to enhance our customers’ efficiency while protecting our environment. GE offers the broadest portfolio of water and process technologies, including: separation equipment; membrane & filtration technology; diagnostic tools; specialty chemicals; mobile water capabilities; service; and financing. GE is your single source no matter what your water or process need. GE is committed to develop and bring to market technologies that promote energy efficiency, lower harmful emissions, increase supplies of water, and reduce our use of fossil fuel—it’s called ecomagination. For more information visit www.ge.com/water. Pilgrim's Pride Corporation is the largest chicken producer in the United States and Puerto Rico and the second-largest producer and seller of chicken in Mexico. Pilgrim's Pride employs approximately 55,000 people and operates 38 poultry processing and 12 prepared-foods facilities, with major operations in Texas, Alabama, Arkansas, Florida, Georgia, Kentucky, Louisiana, North Carolina, Pennsylvania, South Carolina, Tennessee, Virginia, West Virginia, Mexico and Puerto Rico as well as other facilities in Arizona, Iowa, Mississippi, Ohio and Utah. Pilgrim's Pride products are sold to foodservice, retail and frozen entree customers. The Company's primary distribution is through retailers, foodservice distributors and restaurants throughout the United States and Puerto Rico and in the Northern and Central regions of Mexico. For more information, please visit http://www.pilgrimspride.com. WELLESLEY, Mass.--January 21 2008 -According to a new technical market research report, ENVIRONMENTAL MARKETS FOR BIOTECHNOLOGY (BIO019B) from BCC Research (www.bccresearch.com), the U.S. market for environmental biotechnology products for waste treatment is expected to be worth $180.2 million in 2008. This is expected to increase to $261.3 million by 2013, a compound average annual growth rate (CAGR) of 7.7%. The market is broken down into applications of microbial blends, nutrients, enzymes and microbes. Of these, microbial blends have the largest share of the environmental biotechnology market. Expected to be worth $89.2 million in 2008, this segment will increase to $130.6 million in 2013 for a CAGR of 7.9%. Microbial blends will continue to hold the highest sales as the most versatile product choice for a wide variety of treatments. Nutrients, the second largest segment, will increase at a slightly faster pace with sales in 2008 of $43.6 million and $66.2 million in 2013, representing a CAGR of 8.7%. Enzymes will grow at a slower pace from $32.0 million in 2008 to $40.4 million in 2013, for a CAGR of 4.8%, due to relatively limited potential compared to the products forecasted, and limited effectiveness. Microbes are expected to grow from $15.5 million in 2008 to $24.1 million in 2013, for the highest CAGR of 9.3%. Microbes are expected to increase in relation to growing biofuel production from anaerobic waste treatment methods. As technological advances have taken shape, nature has been transformed by science and offers us unlimited potential in using environmental biotechnology through improved products, application methods and processes that allow us to clean up our past waste problems and control our growing waste streams now and in the future. Biotechnology also has a promising future in helping us meet our energy demands by converting waste to biofuels. Data and analysis extracted from this press release must be accompanied by a statement identifying BCC Research (www.bccresearch.com), 40 Washington Street, Suite 110, Wellesley, MA; Telephone: 866-285-7215, editor@bccresearch.com as the source and publisher, along with report number, which can be found immediately after the report title. Thank you. With the continued growth rate in the installed base of wind energy projects, the wind services sector has reached a critical stage. The increasing number of independent service providers and in-house divisions of utilities and independent power producers are slowly changing the dynamics of the services industry. On this topic Frost & Sullivan will host a free telephone and web briefing on Wednesday 30 January 2008 at 2.00 p.m. GMT to provide industry participants with an overview of Service Opportunities in the Wind Energy market in Europe. The briefing will look at the current and emerging trends in the market, market sizing, geographical and competitive analysis. “With high prices, shortage of skills and excess demand, the wind services industry presents a great opportunity to players in the market. However, with high entry barriers entrants are finding it difficult to establish themselves,” explains Frost & Sullivan Research Analyst Gouri Nambudripad. The briefing will benefit turbine and other component manufacturers, independent service providers, wind project developers, operators and owners, utilities and financial investors. To participate, please email Chiara Carella - Corporate Communications at chiara.carella@frost.com with the following information: your full name, title, company name, telephone number, e-mail address, city, state, and country. Upon receipt of the above information, a registration link will be emailed to you. You may also register to receive a recorded version of the briefing at anytime by submitting the aforementioned contact details. Frost & Sullivan, the Growth Consulting Company, partners with clients to accelerate their growth. The company's Growth Partnership Services, Growth Consulting and Career Best Practices empower clients to create a growth focused culture that generates, evaluates and implements effective growth strategies. Frost & Sullivan employs over 45 years of experience in partnering with Global 1000 companies, emerging businesses and the investment community from more than 30 offices on six continents. For more information about Frost & Sullivan’s Growth Partnerships, visit http://www.frost.com. MOUNTAIN VIEW, Calif.-- January 17,2008 In its continuing effort to use the power of information and technology to help people better their lives, Google.org today rolled out five core initiatives that will be the focus of its philanthropic efforts over the next five to ten years. Google.org, the philanthropic arm of Google (NASDAQ:GOOG), will collaborate with experienced partners working in each of these fields, investing its resources and tapping the strengths of Google’s employees and global operations to advance its core initiatives. Today’s announcement includes more than $25 million in new grants and investments to initial partners. The resources come from a commitment by Google’s founders to devote approximately 1 percent of the company’s equity plus 1 percent of annual profits to philanthropy, as well as employee time. “In their first Letter from the Founders (2004), Larry Page and Sergey Brin said that we wanted to 'make Google an institution that makes the world a better place.' The work of Google.org will help us do that by applying Google's strengths in organizing information and scaling technology to these complex issues,” said Sheryl Sandberg, VP Global Online Sales & Operations, and Google.org Board member. Added Dr. Larry Brilliant, executive director of Google.org, “These five initiatives are our attempt to address some of the hard problems we as a world need to face in the coming decade. We have chosen them both because we think solving them will make a better, fairer, safer world for our children and grandchildren--and the children and grandchildren of people all over the world--but also because we feel that these core initiatives fit well with Google's core strengths, especially its innovative technologies and its talented engineers and other Googlers, who are really our most valuable assets." $5 million to InSTEDD (Innovative Support to Emergencies, Diseases and Disasters) to improve early detection, preparedness, and response capabilities for global health threats and humanitarian crises. InSTEDD will work with the community of relief and response organizations, governments, academia and top scientists around the world to address gaps in information flow with software and other technology-based tools and services. Acting as an innovation laboratory, InSTEDD aims to support the humanitarian community in preparing for and responding to global public health emergencies, working together towards a safer world. For more information, see http://instedd.org/. $2.5 million to the Global Health and Security Initiative (GHSI), established by the Nuclear Threat Initiative to prevent, detect, and respond to biological threats. Google.org’s support will help GHSI to strengthen national and sub-regional disease surveillance systems through workforce training and better laboratory capacity in the Mekong Basin area (Thailand, Vietnam, Cambodia, Lao PDR, Myanmar, and Yunnan province, China). For more information, see http://www.ghsi.org/. More than $600,000 to Clark University, with equal funding from the Gordon and Betty Moore Foundation, for Clark Labs to develop a system to improve monitoring, analysis and prediction of the impacts of climate variability and change on ecosystems, food and health in Africa and the Amazon. This system is a prototype platform to deploy global environmental, health, and development data, information and analysis tools that the global community can freely access over the Internet. For more information, see http://www.clarklabs.org/. $2 million to Pratham, a non-governmental organization in India, to create an independent institute that will conduct the Nationwide Annual Status of Education Report (ASER) as well as large scale assessments in the education sector. Our goal is to expand these types of assessments to other sectors. For more information, see http://www.pratham.org/. $765,000 to the Centre for Budget and Policy Studies, a Bangalore-based analysis group, to create a Budget Information Service for local governments to facilitate better district- and municipal-level level planning in India. For more information, see http://www.cbpsindia.org/. $660,000 to the Center for Policy Research, an action oriented think tank based in India, to increase the debate and discourse on issues of urban local governance and urban service delivery. With the rapid expansion of cities in India, our goal is to provide policy makers the necessary information to make more informed decisions. For more information, see http://www.cprindia.org/. $4.7 million grant to TechnoServe to provide general support to expand Technoserve’s efforts to support enterprises, spur job creation, and strengthen poverty alleviation programs globally, and to develop and implement a business plan competition to support entrepreneurs in Ghana and Tanzania. For more information see, http://www.technoserve.org/. $10 million to eSolar, a Pasadena, CA-based company specializing in solar thermal power which replaces the fuel in a traditional power plant with heat produced from solar energy. eSolar's technology has great potential to produce utility-scale power cheaper than coal. Google announced its intention to work closely with eSolar in November, and has now closed the investment deal. For more information, please visit http://www.google.com/corporate/green/energy/esolar.pdf. Unlike conventional philanthropies, Google.org is a hybrid organization, giving it the flexibility either to make direct grants or invest in for-profit companies that might yield returns. Google.org can also lobby public officials in favor of policies supporting its goals. Beyond the grants and investments announced today under Google.org’s core initiatives, Google will continue its philanthropic work through programs to leverage Google products for non-profits, including: Google GrantsTM, which donates free ads to non-profits; Google AppsTM, which provides free, web-based services to non-profits; and contributions from departments including Google EarthTM, which offers mapping to monitor events such as the crisis in Darfur. Google.org, the philanthropic arm of Google, uses the power of information and technology to help people improve their lives. We develop and invest in tools and partnerships that can help bring shared knowledge to bear on the world's most pressing challenges in the areas of climate change, economic development and global health. For more information, visit http://www.google.org. Google.org's call begins today at 9:00 AM (PT) / 12:00 PM (ET). To participate, call 877-604-9673 in the United States or 719-325-4905 for calls from outside the United States, and use the confirmation code 4699562. A replay of the call will be available beginning at 3:00 PM (ET) today through midnight Thursday, January 24th, 2008 by calling 888-203-1112 in the United States or 719-457-0820 for calls from outside the United States. The required confirmation code for the replay is 4699562. Google, Google.org, Google Apps, Google Earth and Google Grants are trademarks of Google Inc. All other company and product names may be trademarks of the companies with which they are associated. This press release contains forward-looking statements that involve risks and uncertainties, including statements relating to our expected grants, investments and capital commitments, our ability to implement our core philanthropic initiatives, our ability to develop early warning systems to predict or prevent infectious diseases or environmental disasters, our ability to improve the flow of vital information to improve basic services for the poor, our ability to increase the flow of capital to the “missing middle”, our ability to develop utility-scale renewable energy cheaper than coal, and our ability to accelerate the development of clean energy technologies. Actual results may differ materially from the results predicted. The potential risks and uncertainties that could cause actual results to differ include, among others, risks related to our ability to hire the appropriate people and our ability to identify and pursue the technologies necessary to achieve these goals, as well as those risks and uncertainties included under the captions "Risk Factors" and "Management's Discussion and Analysis of Financial Condition and Results of Operations," in our Quarterly Report on Form 10-Q for the quarter ended September 30, 2007, which is on file with the SEC and is available on our investor relations website at http://investor.google.com and on the SEC website at www.sec.gov. All information provided in this release is as of January 17, 2008, and Google undertakes no duty to update this information. mDigger, located at http://www.mdigger.com/ provides mobile device users with access to all sorts of content from the Internet (websites, blogs, podcasts, RSS feeds and more) and displays it in a format well-suited to their particular device(s). Content is displayed in the form of channels. Most channels are created or suggested by the users themselves and placed within our online catalog for anyone to subscribe to for free. Investors will have the opportunity to hear audio presentations from Analysts, Public Companies, Fund Managers, Venture Capital, Industry Experts and Government Leaders. The in-depth online conference will be available March 21st, 2008, starting at 9:00 am EDT and archived thereafter for a minimum of three months. 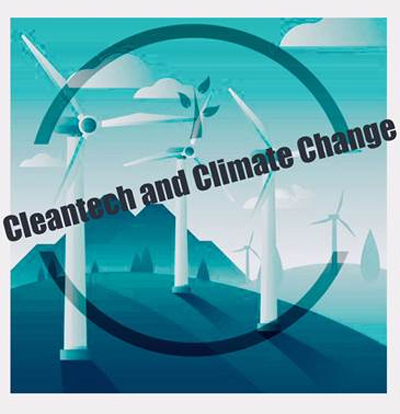 The online conference will include presentations from renewable, environmental, water, clean energy and technology experts providing in-depth perspectives on what is happening in the Greentech sector from some of the most respected industry sources. The conference format will consist of an audio presentation (average 15 minutes) with images in a slideshow presentation, in flash format. Neal is one of the founding partners of Jane Capital Partners LLC, an energy and technology merchant bank whose clients have included the technology arms of multinational energy companies. He has launched several startups, including Carbonflow in carbon credit IT. He previously cofounded SC Power Systems, Inc. and its successor Zenergy Power plc (AIM:ZEN) in superconductor technology, helped launch WaiterPad POS Systems, Inc. in wireless hospitality POS solutions, and led the spin-out of Fideris, Inc. in fuel cell test & measurement. He has served as a director of several technology companies, edits the Cleantech Blog, named one of the 50 Best Business Blogs by London Times, and chairs Cleantech.org. Before entering private equity, he began his career in energy investment banking at Bankers Trust, and has a B.A. from Texas A&M University. Peter C. Fusaro is Chairman of Global Change Associates in New York and is the best selling author of What Went Wrong at Enron and 12 other books on energy and the environment. Peter is an energy industry thought leader noted for his keen insights in emerging energy and environmental financial markets. He has been on the forefront of energy and environmental change for over 30 years focusing on oil, gas, power, coal, emissions, and carbon trading and renewable energy markets. Peter is currently advising on carbon trading and clean energy technology arena to financial services companies. Peter was selected for Who’s Who in America for 2007 and 2008. He coined the term “Green Trading” and holds the Wall Street Green Trading Summit with Reuters in New York each spring. He is also a well known expert on Asia Pacific energy and environmental markets. He co-founded the Energy Hedge Fund Center LLC (www.energyhedgefunds.com) in 2004. Peter graduated with an MA in international relations from Tufts University and a BA from Carnegie-Mellon University. Mr. J. Peter Lynch has worked, for 31 years as a Wall Street security analyst, an independent investment/merchant banker and private investor in small emerging technology companies. He has been actively involved in following developments in the renewable energy area since 1977 and is regarded as a leading expert in this field. Matthew Sant's practice focuses on the structure and negotiation of complex licensing, development and commercial transactions involving intellectual property assets and emerging technologies. His experience also includes debt and equity financing, mergers and acquisitions, and public and private corporate securities. Among his clients are several companies and funds exploring "green" technologies, including the developer of hybrid and electric vehicles, the developer of proprietary "waste to energy" technologies for producing biofuels, and a fund that has invested in solar and other renewable energy technologies. Jamie Wimberly founded and currently serves as CEO of the Distributed Energy Financial Group (DEFG, www.defgllc.com), a holding company with three branded entities, including: DEFG LLC, EcoAlign, DEFG Ventures. Investorideas.com has a series of four investor and industry research portals in the renewable energy, water, environment and fuel cells. Investorideas.com was one of the first online investor sites to cover water and renewable energy. The portals feature industry and stock news, articles, leading experts and financial columnists, audio interviews and Podcasts with leaders and innovators in Greentech, investor conferences, blogs, and a comprehensive global directory of publicly traded stocks. Disclaimer: Our sites do not make recommendations, but offer information portals to research news, articles, stock lists and recent research. Nothing on our sites should be construed as an offer or solicitation to buy or sell products or securities. We attempt to research thoroughly, but we offer no guarantees as to the accuracy of information presented. All Information relating to featured companies is sourced from public documents and/ or the company and is not the opinion of our web sites. This site is currently compensated by featured companies, news submissions and online advertising. Disclosure: Presenting public companies, other than featured companies, pay a one time fee of $1000 to present. POINT ROBERTS, WA and DELTA, BC January 16, 2008 www.RenewableEnergyStocks.com, a leading investor news and research portal for the renewable energy sector within Investorideas.com, presents featured showcase solar company Clear Skies Holdings, Inc (OTCBB:CSKH). Clear Skies is a developer of solar energy products and a full-service integration company specializing in the turnkey installation of commercial photovoltaic (PV) solar systems in commercial, industrial, and agricultural markets. On January 15th, the recently listed OTC Company announced a $1,281,800 agreement with Hawthorne Machinery, to install a solar energy system at their headquarters in Rancho Bernardo, CA. Hawthorne Machinery Co., is an authorized Caterpillar dealer, providing sales, rentals, parts and service to contractors worldwide. Under the terms of the agreement, Clear Skies will install a 159 kW solar photovoltaic (PV) system designed to offset the majority of their facility’s current energy usage charges. Clear Skies has also developed a proprietary low-cost remote monitoring solution, XTRAX, to penetrate the emerging market for remotely measuring the production of renewable energy systems. About Featured Showcase Company: Clear Skies Holdings, Inc. through its wholly-owned subsidiary, Clear Skies Group, Inc. (“CSG”) provides full service renewable energy solutions to commercial, industrial, and agricultural clients across the United States. CSG’s combination of proprietary technology and high-tech solutions with construction expertise has enabled CSG to become one of the nation’s premier solar electric installation companies. More info can be found on the Investorideas.com Company Showcase, or the company website at www.clearskiesgroup.com. Disclaimer: Our sites do not make recommendations, but offer information portals to research news, articles, stock lists and recent research. Nothing on our sites should be construed as an offer or solicitation to buy or sell products or securities. We attempt to research thoroughly, but we offer no guarantees as to the accuracy of information presented. All Information relating to featured companies is sourced from public documents and/ or the company and is not the opinion of our web sites. This site is currently compensated by featured companies, news submissions and online advertising. Disclosure: Clear Skies Holdings compensates Investorideas.com $5000 per month as a featured showcase company. In past articles I have tried to apply general descriptions for activity in the years that I feel were, in retrospect, the Dawn of the Solar Age. 'This in no way alters my bullish view of our bright solar future and solar stocks in general. I just think we are in a period of transition where there will still be plenty of money to be made, but investors will just have to be more savvy and selective in their investments"
J. PETER LYNCH has worked, for 30 years as a Wall Street analyst, an independent equity analyst and a private investor in small emerging technology companies. He has been actively involved in following developments in the renewable energy sector since 1977 and is considered to be an expert in this area. POINT ROBERTS, WA and DELTA, BC – January 14, 2008 www.RenewableEnergyStocks.com, a leading investor news and research portal for the renewable energy sector within Investorideas.com, presents a sector close- up on Electric Vehicles and green automotive stocks. From the Consumer Electronics Show, where GM showcased electric vehicles, to the Detroit Auto Show, the color for cars this year is “green” and electric vehicles are getting their share of attention. The market for electric vehicles is going global, with the number of players on the rise. Venture Beat just published an article looking at " 27 electric cars companies ready to take over the road' including ZAP’s (OTCBB: ZAAP) Xebra Sedan and Zenn Motor’s (News, Quote ) Zenn. ZENN Motor Company, a Canadian based manufacturer of electric vehicles, announced in November that Transport Canada had confirmed that its 100% electric, “ZENN" vehicle met and/or exceeded all standards of Canada's low-speed vehicle class. "The interest ZAP (OTCBB: ZAAP) has been receiving for its electric car business has been global," said ZAP CEO Steve Schneider. "In the next two weeks ZAP has meetings with potential partners, technology companies, banks, investors, and distribution partners on four continents. There is so much interest we are discussing branching out of passenger cars into other vehicles like trucking and public transportation." Schneider noted that he has meetings to further a new joint venture with Youngman Automotive, one of China's largest manufacturers of buses and trucks. He is also traveling to Dubai, where ZAP recently formalized a relationship with Al-Yousuf Automotive, one of the largest automotive distributors in The Middle East. Dan Jenkins, Media Relations Manager of The Tanfield Group Plc (TAN.L), listed on the Alternative Investment Market of the London Stock Exchange, provided global insight with the following commentary to Renewableenergystocks.com: “This market is very much demand driven, because major fleet operators are in a win-win situation – our vehicles reduce their carbon footprint and eliminate air pollutants, while also offering a benefit to the bottom line. Rick Wagoner, General Motors (News, Quote) Chairman and CEO, made headlines at the Consumer Electronics Show, as the first automotive CEO to present a keynote address, discussing their Cadillac fuel-cell concept and the range-extended electric Chevrolet Volt. According to a recent press release from the Company, “GM has a goal of reducing oil consumption and greenhouse gas emissions," said Tom Stephens, GM Group Vice President, Global Powertrain and Global Quality. "GM's commitment to improving fuel economy, reducing vehicle emissions, and developing electrically driven vehicles is not a short-term strategy. We're in this game for the long term. We see energy and environmental leadership as a critical element of GM's ongoing turnaround plan and a key part of our business strategy." Bolloré (News, Quote ) and Pininfarina recently announced they are teaming up to create a 50/50 joint venture to produce a 100% electric vehicle. The vehicle will be marketed under the Pininfarina brand. The total capital investment is estimated at 150 million euros. The vehicle will be manufactured in Italy and will benefit from Pinninfarina?s extensive track record in design and the production of top-of-the range vehicles. It will be equipped with the revolutionary Lithium Metal Polymer battery developed by the Bolloré Group. Google (News, Quote ) is helping promote interest in electric cars with RechargeIT, (http://www.google.org/recharge/) an initiative within Google.org's Climate Change Program with goals of accelerating the adoption of plug-in hybrid electric vehicles and vehicle-to-grid applications. North American International Auto Show 2008MENLO PARK, Calif.--January 11, 2008 -Khosla Ventures today announced an investment in EcoMotors, an automotive company with a focus on fuel efficiency, low emissions and cost effective solutions for developing markets. EcoMotors has developed an innovative diesel engine that is aiming at delivering 100 miles per gallon (mpg) by 2011. This investment expands the venture capital firm’s focus on vehicle efficiency. Coinciding with this announcement, Vinod Khosla will address North American International Auto Show in Detroit on Sunday, January 13, 2008. Mr. Khosla will share with Detroit his vision for the automotive industry, supported by anecdotes and developments from the innovative work coming out of the portfolio companies that Khosla Ventures has invested in. Khosla Ventures offers venture assistance, strategic advice and capital to entrepreneurs. The firm helps entrepreneurs extend the potential of their ideas in both traditional venture areas like the Internet, computing, mobile, and silicon technology arenas but also supports breakthrough scientific work in clean technology areas such as bio-refineries for energy and bioplastics, solar, battery and other environmentally friendly technologies. Khosla Ventures is based in Menlo Park, California. More information is available at www.khoslaventures.com. EcoMotors is developing innovative next-generation diesel engines, with a focus on fuel efficiency, low emissions and cost effective solutions for developing markets. The family of EcoMotors engines will set a new industry standard for clean efficient, lightweight, and durable propulsion systems for vehicles of all types. The compact, low-profile design of the EcoMotors engine family is the perfect solution for those manufacturers developing vehicles that offer “More room for man, less room for machine.” The inherently balanced EcoMotors’ engine family offers the unique ability to stack the modules and generate fuel efficiency improvements of over 50% with no compromise in vehicle power, performance, and driveability. The company is privately held and funded by Khosla Ventures, LLC, arguably the top venture firm in the U.S. focusing on alternative, green energy systems. The leadership team melds over forty years experience at leading automotive companies designing engines. EcoMotors’ vision is to bring to market the right technology for a changing world with cleaner and more fuel efficient engine designs.